is why countless folks are seriously getting into it. For the ones who are already seasoned in pigeon racing, the practices involved in it are unending endeavors. It is a continuous process of regular improvements and adjustments that require a lot of patience and dedication. It takes skill and appropriate knowledge in order to enjoy longevity in this field. Anything less than what is necessary is detrimental to the likelihood of reaping the activity’s fruits. Racing pigeons is rich in history, being a time-honored game. The amount of discipline that goes into it cannot be discounted and the people who are captivated by it are always ready to take on the challenge. 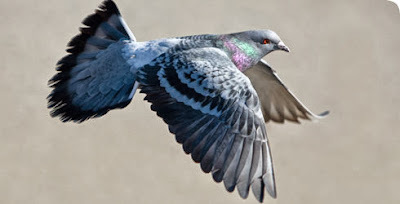 If you are planning to start your pursuit to be a good pigeon racer, then it will do you good to take time and learn a few important things that can allow you to decide whether you are prepared for the sport. Right off the bat, you have to realize that it is not as simple as it may seem but the perks make all the efforts worth it. Feeding Nutrients – racing pigeons are a lot like athletes that require proper diet in order for them to be good at what they do. Make sure you give your birds the right kind of food to make them fit for racing. Coming into the sixth week, replace the corn with two separate daily meals. Use light rations during the day and make sure you give them a nice helping of corn during evening meals. This is crucial in making sure that they build up muscles the right way. Stick to the feeding routine especially during off seasons of racing. Training Schedule – timing is everything when it comes to training your voyageurs. The best time to teach them how to race is during mornings. Also, always be critical of the weather condition on training days. Make sure that clear skies and no gusty winds are always part of your consideration in picking a day to train. Do Not Rush the Birds – remember that there are no short-cuts in pigeon racing. Give your birds the chance to mature and never subject them to too much training and exercise. Like all athletes, they too can be burnt out and have their ability decreased to deliver in actual game times. Fist Course is Paramount – the primary lesson the birds ought to know about is trapping. Observe your birds and make sure they know how to come back to their loft. On the first day of training, watch out for those birds that made it back last and teach them to be the faster on the next day. Less is Really More – it will do you good if you choose to maintain a small group of pigeons. This way, you get to have better distribution of your time in training and feeding your family of birds. A huge flock would almost certainly guarantee that some birds may be neglected. Give Importance to Health- this makes a lot sense because a bird that is not fit cannot be expected to win races. Remember, they are not just regular pigeons – they are athletes. They need the proper nutrition in order to be champions. Racing Preparation – during race season, make sure your racers are hydrated with a lot of electrolytes. They use up a lot of fluids whenever they fly and you have the responsibility to replenish it. Hygiene is Key – cleanliness of the pigeons and their loft along with the things they use for feeding is imperative. Obviously, a sloppy cage and feeders will trigger bacteria build-up that can put the birds’ health in jeopardy. Always make it a habit to get rid of droppings and clean their feeders. These tips may come as a surprise for most people because of their simplicity. Yet, there are many racers out there who are overly focused in winning and neglect these very important parts of the bargain. The point is if you want to win, you must not be reluctant to get your hands dirty. Maintenance is a huge part of pigeon racing and it is impossible to do without it. Loft Placement – choose a place where you will put the birds’ loft. You want it in a spot where the end of the race would likely be situated. Reward System – during training for trapping, put treats on the trap so the birds will be enticed to go there until they get used to the idea. You can also use this technique to teach them to get in a release basket. Distance Adjustment – gradually increase the distance between the place of release and the loft. This will slowly make the bird capable of flying long distances. Since you will begin the sport by actually overseeing every detail of the activity, the bonuses you get can be priceless. 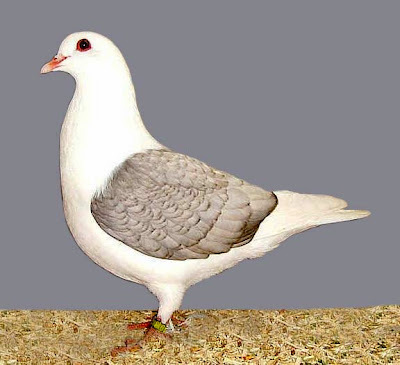 From breeding, growing and training the birds, all of these aspects boil down to that prideful moment when the birds start becoming racing pigeons. Impart your thoughts on racing pigeons by writing your comments below and invite your friends on Facebook to tell us what they think as well by sharing this write-up with them.